For Continuous Ultrasound Guided Nerve Blocks. 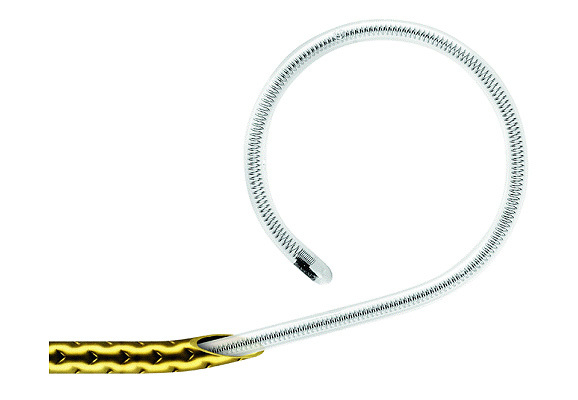 The Sonolong Curl is designed to be used under ultrasound guidance and will provide "on the dot" anesthesia with a minimum of medication required. Since the catheter is placed using ultrasound in close proximity to the nerve. The catheter will follow the path of least resistance and coil around the nerve providing a superior block. The catheter is designed to roll up and remain at the position that the needle is positioned.